This hand colored map is a steel plate engraving, dating to 1814 by the important English mapmaker John Thomson. It represents the Turkish Dominins in Europe. 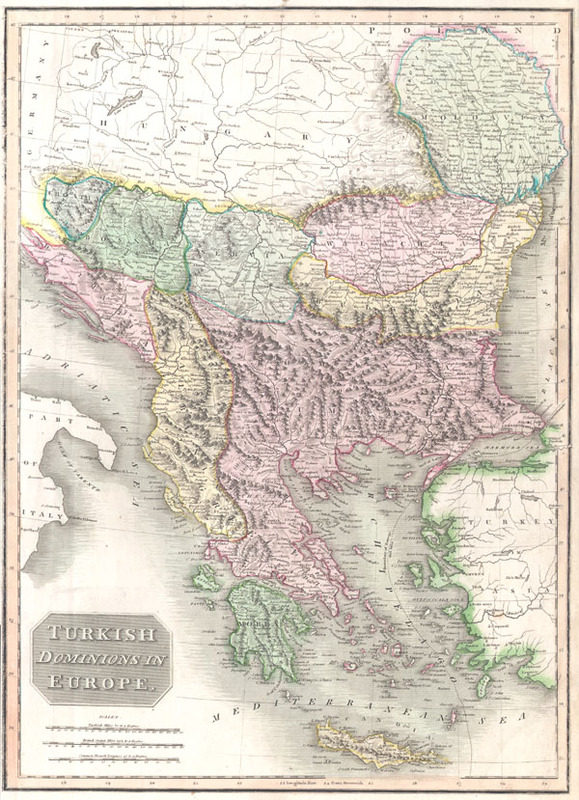 These areas include, Greece and the Balkans: Moldova, Serbia, Bosnia, Croatia, Dalmatia andMacedonia.. Thomson maps are known for their stunning color, awe inspiring size, and magnificent detail. Thomson's work, including this map, represents some of the finest cartographic art of the 19th century. Very good condition. Narrow left margin. Blank on verso. Rumsey 1007.026. Phillips, 731. Newberry Library: Ayer +135 T4 1817.